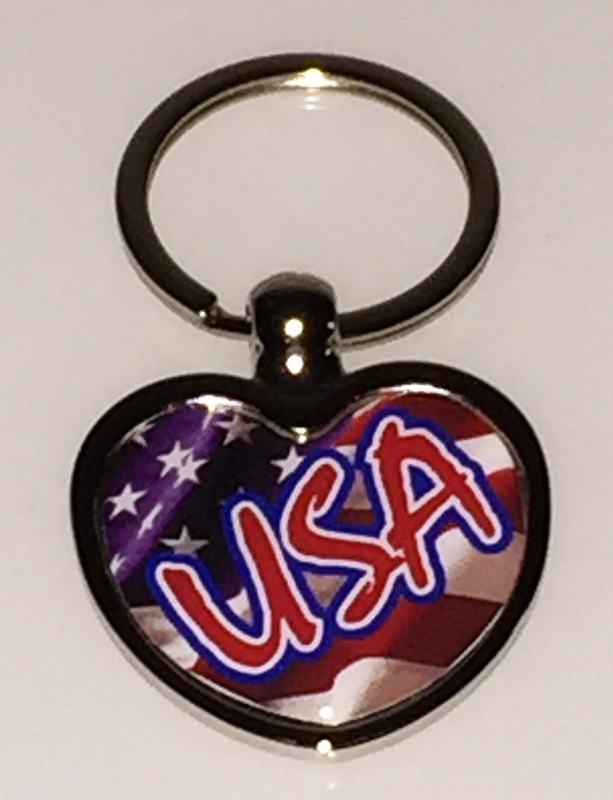 Our Heart Key Tag w/USA Flag dome measures 1 1/2" wide by 1 1/4" high and are attached to a 1 1/4" flat split ring. 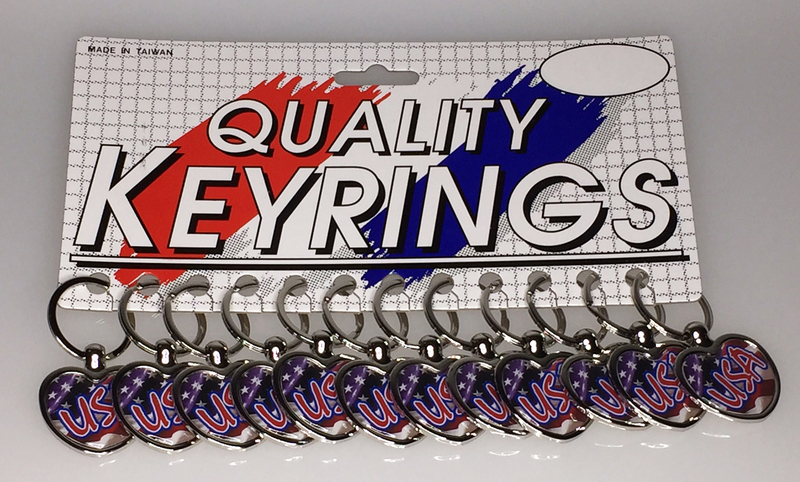 These are made from zinc alloy and are plated in a shiny nickel finish. Packaging is bulk. Copyright . All Rights Reserved. by 3DCart Online Shop Builder.